Swatches & Review - 2 new Essence Sugar Polishes! Monday Swatches & Review - 2 new Essence Sugar Polishes! Last year the texture trend was really hot, and Essence jumped on the bandwagon by releasing Sugar polishes - shiny textures. Shown here is Skyfall, and there's another beauty included in the post :-). Black & white glitter is always so fun to put on basically everything, and I really liked this combination with the China Glaze shade. 31 Day Nail Art Challenge - Inspired By A Tutorial! Wednesday 31 Day Nail Art Challenge - Inspired By A Tutorial! Manon did the last bit of the 31 Day Nail Art Challenge alone, and for the tutorial prompt she did the fishtail braid look by Lucy's Stash. Isn't it pretty?! I was mesmerized by the golden shimmer in this shade, unfortunately it wasn't as apparent on the nails compared to the bottle. However, this creamy mint is still a beauty! Swatches & Review - My 4 picks from the Dance Legend Caviar Polish Collection! Friday Swatches & Review - My 4 picks from the Dance Legend Caviar Polish Collection! The Dance legend Caviar Polish collection was such a freaky one - jelly colored bases with black and white glitter. 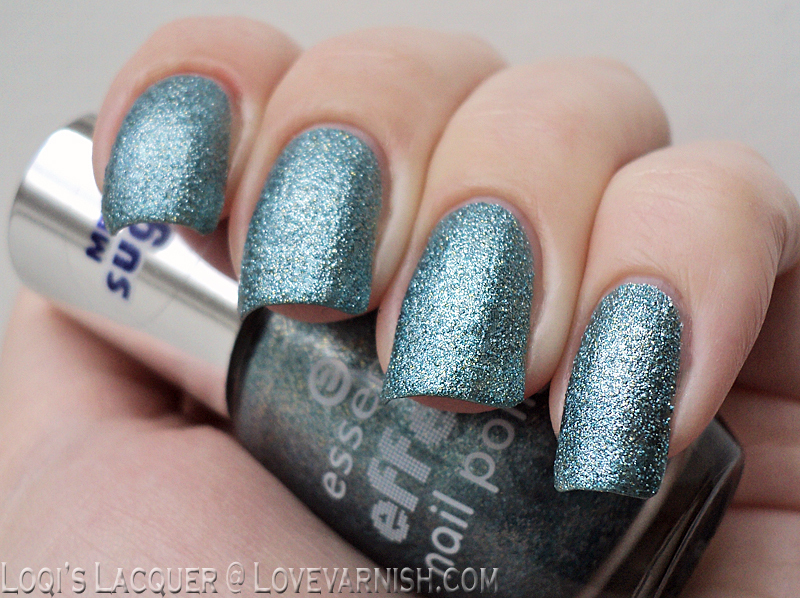 Shown here is Zebrasoma but there are 3 other fun shades included in the review! How delicate is this baby blue beauty? Every once in a while it's time to splurge on something expensive and I just couldn't resist this one. Paired with the white stamping it's perfection to me! Thanks Kellie! I think so too, but somehow I rarely actually wear it. These are all beautiful! I'm really loving that shimmery mint! So pretty! That fishtail braid is awesome too, I really need to try that one day! 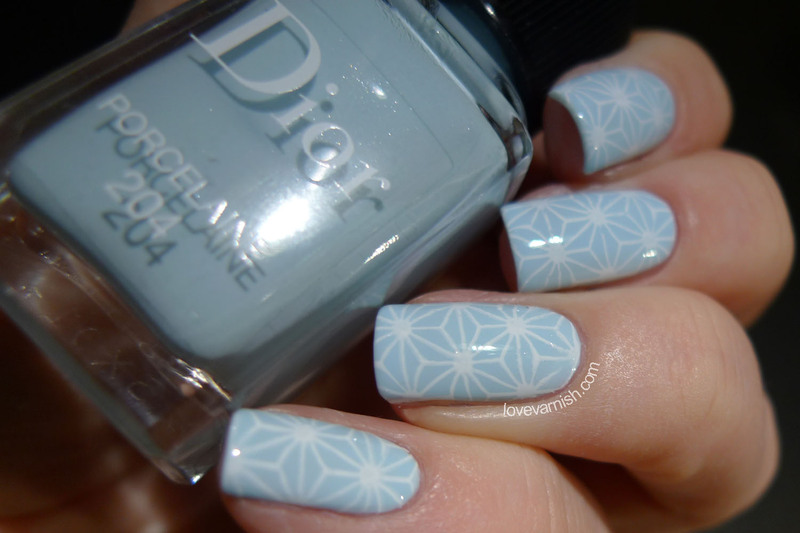 I'll go with Friday for sure - love the pastel blue Dior and the stamping was flawless! Ohh, there are some awesome nails here!! I love that Dance Legend polish, it's so pretty! The Dior Porcelaine is gorgeous... and I love the L'Oréal confetti topper so much! I think I bought 3 bottles... And that dance legend is sooo pretty! Dior Porcelaine is so beautiful! 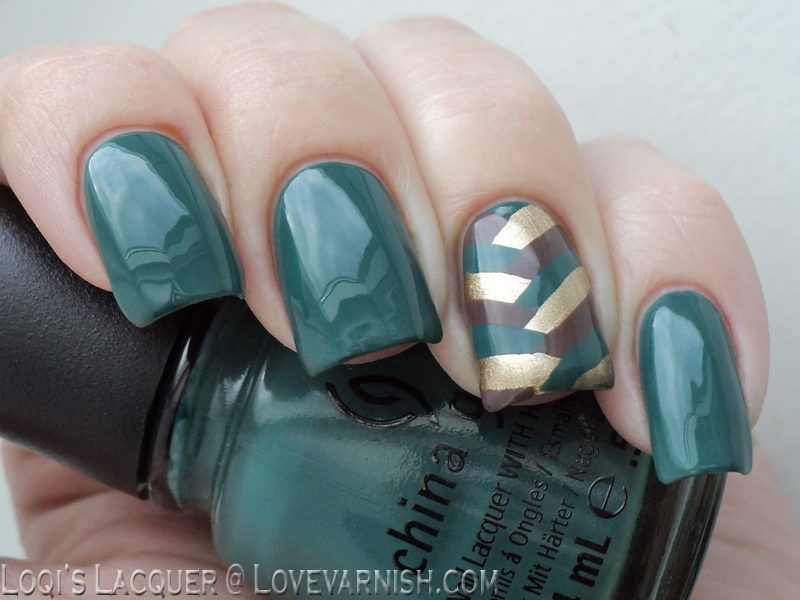 I really like the fishtail mani though! Thanks Monica! I absolutely adore the bottles. You're 100% right. The shades are not unique, though the formula was nice - I think the attractiveness lies within the brand's philosophy and presentation. It's interesting indeed. Too bad I can never really test such ingredients and the claims that come with it. Too much polish to swatch, too little time! Glad you like it so much Mina! I don't really care for it shiny, but matte it really appeals to me :). Thanks Nicole! The packaging is really really pretty :). YES! It looks quite oldschool indeed. Thanks girl, you're the one that made me interested in these beauties! Thanks Em! Santa Sangre is definitely my kinda shade :). Aww, you're making me blush! It's really a fun brand. Right?! It was beggin' for it. I can definitely recommend them! I'm really having a lot of fun putting these posts together, it also reminds me of polishes I need to use again :P.
Thanks Paulina! That stamping image is my favorite, I can keep on using it and not get bored with it. Thanks Jenny! Manon did a great job indeed on the fishtail, I've never attempted it myself either. Thank you! I love how the Dior has a slightly squishy finish. It's definitely unique, the Dance Legend shade! Thanks Lothwen! The only issue I have with the topper is that it's rather thick.. Did you experience that as well?